If you have multiple team members creating webinars on your account, the webinar list can get a bit too crowded. That's why you can now filter your webinars by team member 🎉 With this feature, you can easily display the webinars you've created on your dashboard. We hope this will provide a cleaner view and easier dashboard navigation. We've increased the meeting room capacity on our Premium plans. 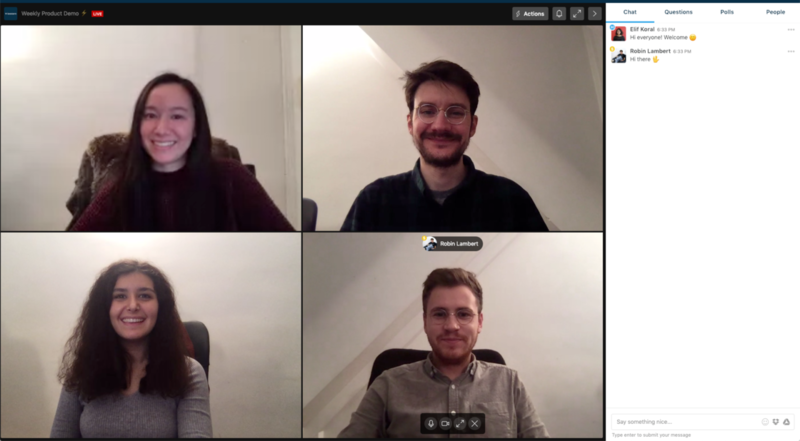 So if you're on our Premium plan, you can have up to 6 people and 1 screen sharing in the meeting room at the same time. 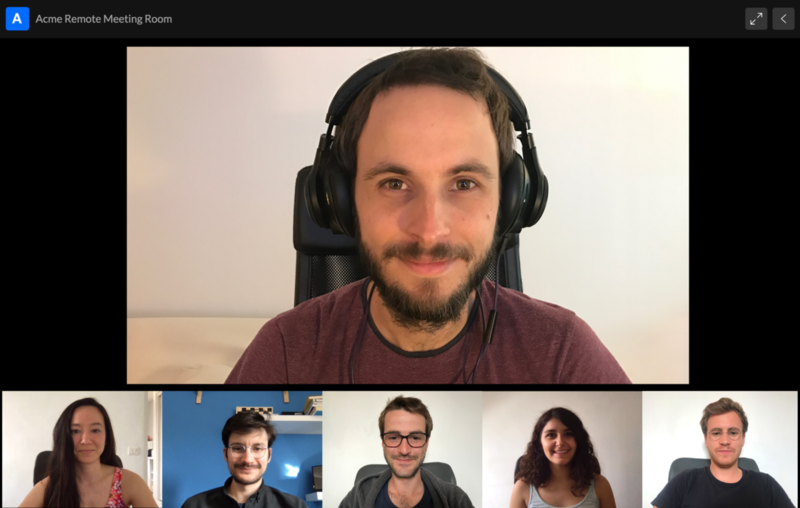 We hope this will give you more flexibility when hosting live meetings with your collaborators! 👉 If you're on the Free plan, previous rules still apply. You can have up to 4 people and 1 screen sharing. Feel free to check out our Help Docs if you'd like to learn more about Livestorm Meet. Your Livestorm account was accessible through one login. This means that you needed to share your credentials with your colleagues. There could only be one host per Livestorm account. You had to end a webinar before starting another one. Running multiple webinars at the same time was not an option. You can have multiple hosts under one Livestorm account. You can run simultaneous webinars thanks to our multi-host feature. 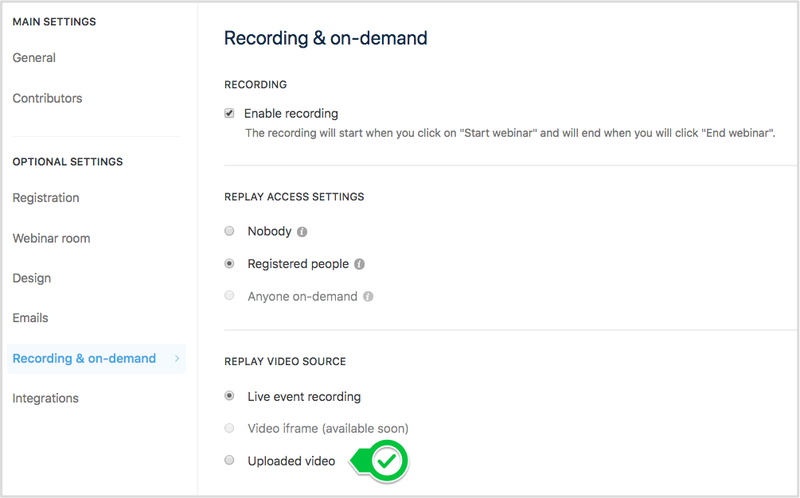 The hosts that you add to your account will be able to create, edit, start and end webinars. You don't have to worry about shared accounts anymore. Other hosts will be able to connect through their own credentials and manage everything from A to Z themselves. With multiple hosts, you don't need to end a webinar to start another one. Each webinar host can run one webinar at a time. You can add new members and manage their rights in your Team settings > Team members. There are two main roles you can assign to a team member when you add them to your Livestorm account: host and moderator. Hosts have full dashboard access. They can create webinars and edit them. They can send out webinar invitations. Most importantly, they can start, moderate and end webinars if they're assigned in the webinar settings. If you assign them to a webinar, they'll be able to access the webinar room and moderate your webinar. Moderators can't create, edit, start or end webinars. They can't access the webinar settings and send out webinar invitations. We believe this update will help you take even better advantage of Livestorm, and will give you more freedom to manage webinars. As always feel free to shoot us an email at hello@livestorm.co or chat with us if you have any questions! For now, added team members have a "moderator" role by default. They can access the Livestorm dashboard- just like you. They can display and export all webinar data as well as manage registrations and delete registrants. However, they won't be able to create, edit, start or end webinars with the "moderator" role. Also, they won't be able to access the settings and email invite sections of your webinar. This is something we'll enable with our upcoming "host" role. Once a team member is added to your account, you can then assign them to your webinars as contributors (in your webinar settings). If you assign them to a webinar, they'll be able to access the webinar room and moderate your webinar. Similar to you (the account owner), they will access the webinar room right from their Livestorm dashboard, we won't send them any confirmation emails or reminders with an access link. If you want to add a contributor, but not give them dashboard access, you can add them as Guest speakers. This typically applies in cases you'd like to invite people outside of your company to speak at your webinar. You'll be able to add team members and assign them the host role. They'll be able to create, edit, start, end webinars just like you (the account owner). The pricing will be per host. All your webinar host profiles will be unified from now on. We will fetch the host info found in your profile. Your profile will apply to all your past and upcoming webinars as the host. This was a necessary step we had to take to release team-wide accounts. Also, all your past contributors have been converted to "Guest speakers". You can switch them to team members by adding them in your account settings under Team members. Bear in mind that, this is the first version of team-wide accounts. We will release the fully developed version in the upcoming weeks. This is priority #1 on our list, and we're in it 100% to get it out asap. Have an improved stage grid to display your streams. This means no more lost space in between your streams, it's all optimized to fit the webinar room. Have better visibility of your streams and more visual impact on your attendees during your sessions. We're all for more engaging and captivating sessions! 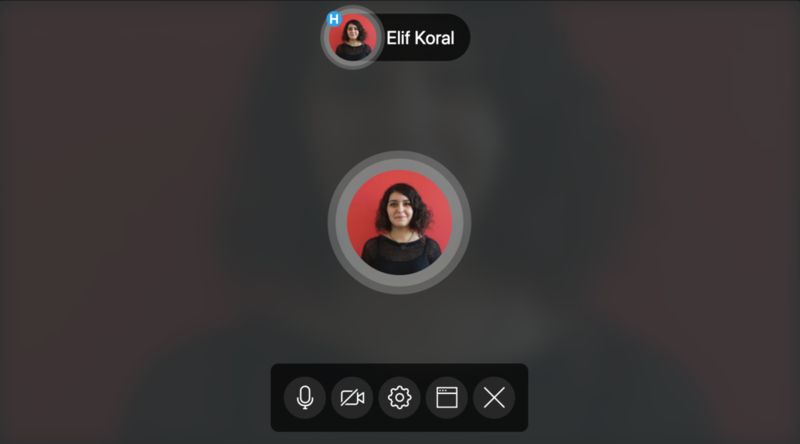 If you choose not to share your webcam, your avatar will be displayed instead. You won't see a black box when you disable your webcam anymore. Instead, you will see your avatar showing up with a faded background. 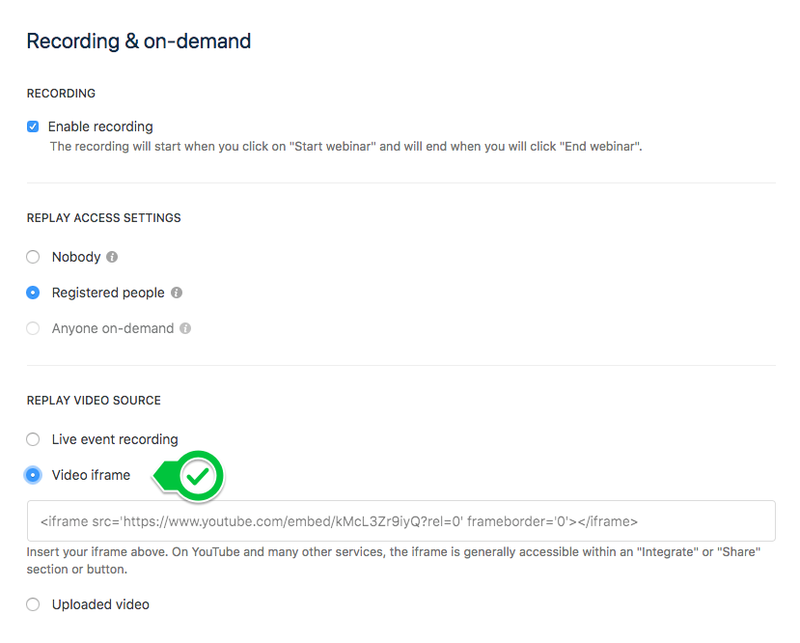 The "Share a media" button within the webinar room is now located under the “Actions” button. 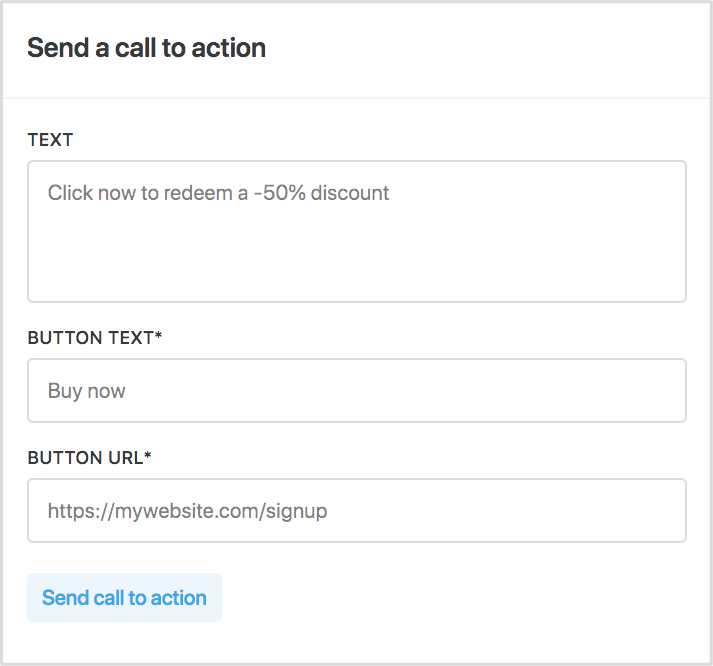 We’ve moved it there to welcome a cool new feature: the ability to send a call to action (CTA) to your attendees. For now, it's not possible to save your call to action as a draft. So every CTA you create will be sent to your attendees in real time. Saving them as drafts is something we will introduce next year, along with CTA analytics. If you’re on Chrome 71 or higher, you’ll now notice a layer over the webinar room page with a “Click to access” link. We had to add this layer because of Chrome’s new autoplay policy. We’ll definitely look into a better solution for the future though! From now on, you can choose to accept only work emails for your registrations. This way, Livestorm will not complete any registration that includes a personal email domain such as Gmail, Yahoo, Outlook, etc. We will no longer accept registration for any disposable or undeliverable email address. So if someone makes a typo in their email, they won’t be able to register. We've opted for this improvement to ensure better email delivery. We hope you'll find these updates useful! Feel free to reach out to us if you have any questions or feedback. Unlike our other native integrations, the webhooks integration will apply to all of your webinars. You can filter and choose which kind of data you'd like to keep in your own system once you receive the data from our end. The iframe can be an embed widget from YouTube, Wistia, Twitch, or another platform. We hope you like these updates. Feel free reach out to us via the in-app chat, and let us know what you think! We look forward to your feedback! We've added a new feature to the Questions tab inside the webinar room. In addition to sending written replies, you can now start live answers to address your participants' questions! The steps are pretty easy. When you're on stage, just click "Start live answer" button found below any question under the Questions tab. When you start a live answer, each attendee in the webinar room will get a pop-up containing the question you're answering to. You can end your live answer by clicking on "I'm done answering". This will also generate an automatic written reply stating that you've answered live. We hope you like this update! Also, feel free to check out our documentation to learn more about the webinar room sidebar. All you need to do is click "Uploaded video" under "Replay video source" and choose the file from your computer. You can check out our documentation to learn more about webinar replays. We hope you'll find this feature useful! Surely Livestorm will start publishing changelogs very soon.